Kalamitsi Beach (approx. 30mins drive from Diodati Villas). 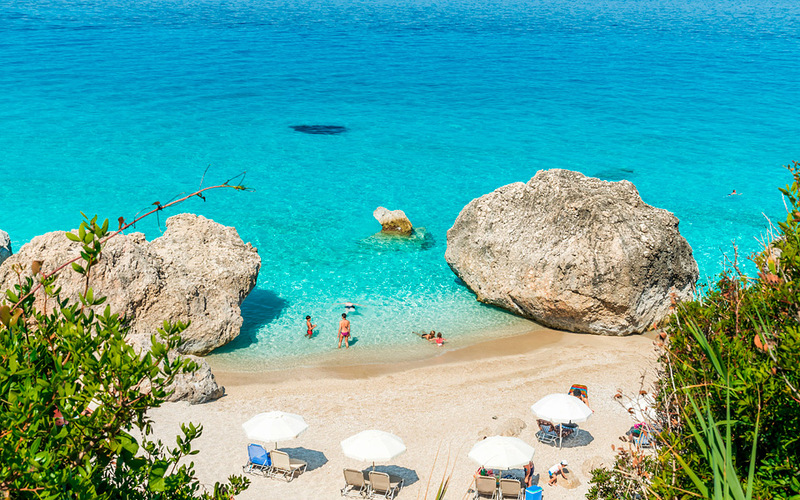 Kalamitsi is among the prettiest beaches of Lefkada located 15 km southwest of the main town. With brilliant crystal waters and white sand, Kalamitsi provides a perfect environment for swimming and sunbathing. It is devided in separate beaches, two of which are: “Kavalikefta”, with large rock formations close to the seashore that give a wild aspect to the beach and “Avali”, with its tropical setting and hippie-wodden structure cantine on the small cliff over the beach. In Kavalikefta there is a small vehicle-canteen and some months they may rent sunbeds and umbrellas. In “Avali there are no sunbeds or umbrellas and the way to the beach is through the lovely canteen and steps all the way down. There might be some rocks at the end, depending on the season and water levels. “Avali” is also a free-camping beach.